The hotel is closed during winter, but our apartments are still waiting for our guests. Please send an e-mail to hotel@panoramatihany.hu. Aquilo Hotel Panoráma is situated in the bay of the Tihany peninsula, facing Balatonfüred, directly on the shore of Lake Balaton. Enjoy our beach, or the secluded 750 m2 island. 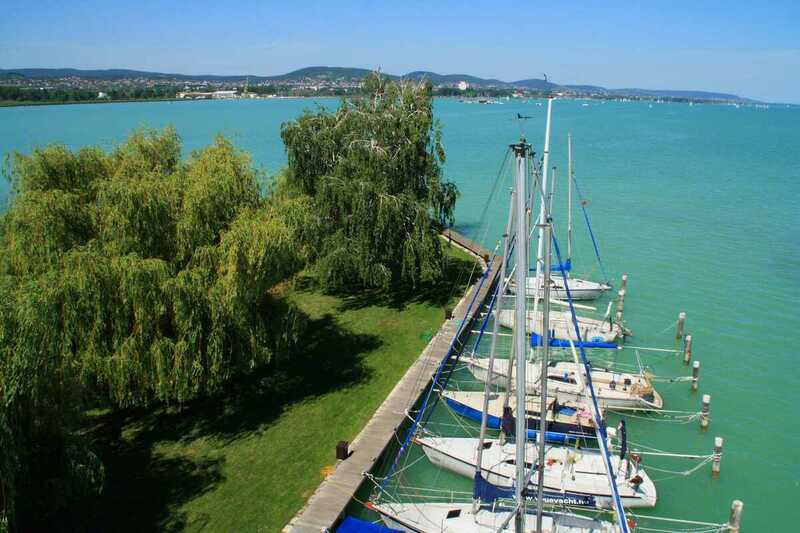 The only island on Lake Balaton, with beautiful weeping willow and aspen trees, with breath taking views of the lake and harbour, for your peaceful enjoyment. A large open fire pit, for those romantic sunset barbecues. Many of our guests say that the island alone is worth the trip. The three-storey main building has 39 double and triple rooms. Television, air-conditioning, mini-fridge and safety deposit box are provided in each room. 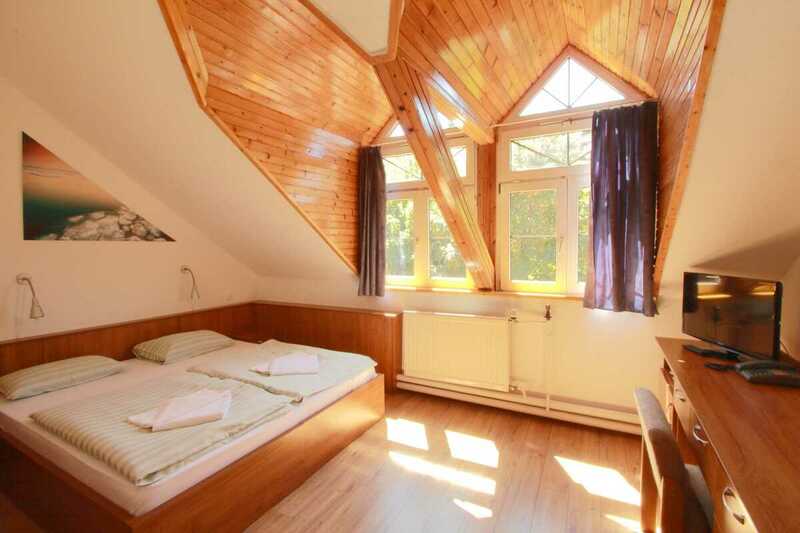 Most of the rooms and the restaurant offer a magnificent view of the Tihany bay and Balatonfüred. The two-storey Villa, which was built in the 1930’s, is also part of the hotel. These apartments are elegantly furnished and have large terraces looking onto the lake. 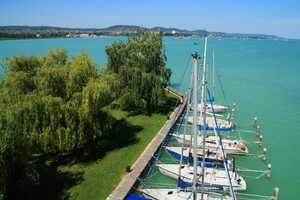 We are located 100 meters from the Balaton Bike Trail that encompasses the entire lake. All this makes Aquilo Hotel Panoráma a great place to spend your next vacation or a romantic getaway. 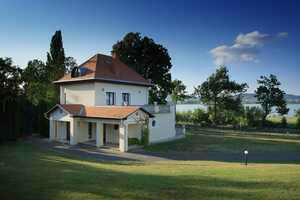 By car By car turn to Tihany from route 71, and a few hundred meters after the town sign you will find the hotel. The hotel is located 6 km from the port of ferry that provides connectivity to the south coast, so the hotel is accessible also from the M7 motorway!